Serbia's ex-Deputy Prime Minister Vojislav Seselj may seek €14 million in a claim against the UN tribunal in The Hague for the "suffering” he has been through. He was acquitted of crimes against humanity on Thursday, after serving 12 years in jail. Seselj says he previously filed a €12-million (US$13.6 million) claim against the court, but may ask for an extra €2 million euros ($2.2 million). 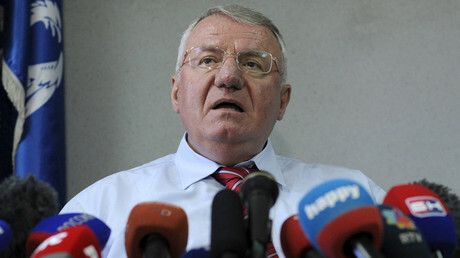 Once the leader of the nationalist Serbian Radical Party, Seselj was accused of inciting and financing crimes against Croat, Muslim, and other non-Serb populations, which were committed by the Serbian militias from 1991 to 1993. He was acquitted of all nine charges of crimes against humanity and war crimes on Thursday. “I had already filed a €12 million compensation claim in 2012. Now I could expand that claim by two million more, because all these years I have been through a lot of suffering waiting for the verdict,” he said at a press conference in Belgrade on Thursday, as quoted by RIA Novosti. However, the much awaited verdict was 13 years in the making. Seselj surrendered to the International Criminal Tribunal for the former Yugoslavia (ICTY) in February 2003, days after his indictment. He spent almost 12 years in custody before being released for medical reasons in November 2014, to receive cancer treatment in Serbia. When his first trial was canceled in 2006, he went on hunger strike to insist on his right to defend himself in court. When a second trial opened up in 2007, he cast himself as a martyr and expressed regret that the tribunal did not allow for the death sentence. In 2011, the former leader appealed to the tribunal demanding release and €10 million compensation for the years of his imprisonment. However, the court did not agree with Seselj's arguments. 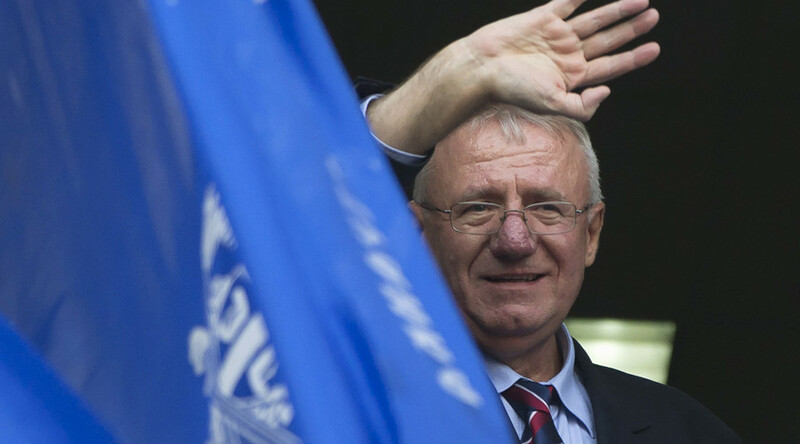 The following year, Seselj filed a 96-page request to the tribunal, in which he accused the court of delaying trial and violating his rights, asserting that the court would be required to pay compensation for the years spent in pre-trial detention. However, the tribunal found that Seselj's rights had not been violated, put forward the claims as “baseless,” and refused to pay. But ill health and over a decade behind bars hasn't deterred Seselj from appearing in the public eye, or from being active in politics. He has been seen publicly burning EU and NATO flags and firing up far-right allies ahead of Serbia's general election in April, in which he plans to stand. "I don't regret a single day in the fight against the anti-Serbian court," he recently told RT.